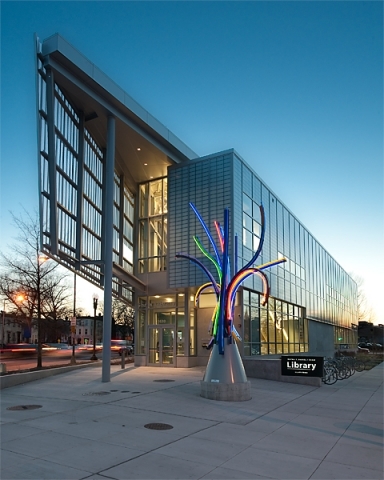 The Shaw (Watha T. Daniel) Library, opened August 2010, was designed by Peter Cook, AIA, NOMA. The 2010 building replaced an earlier library building opened in 1975. 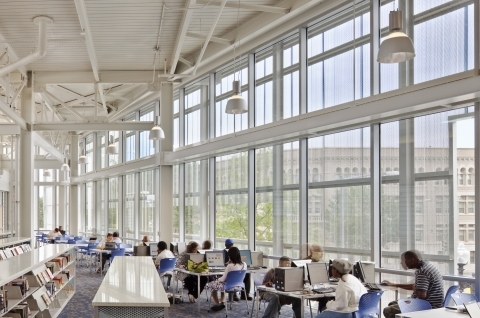 The three-level library is approximately 22,000 square feet and features a flexible design to provide inviting spaces for all. 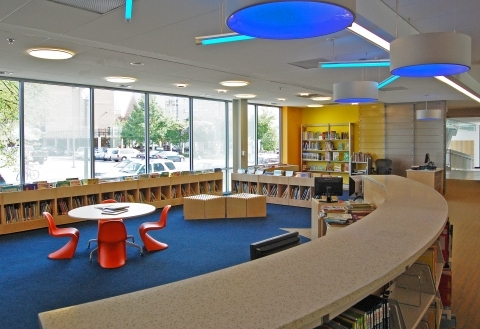 The Shaw Library is located at 1630 7th St. NW.